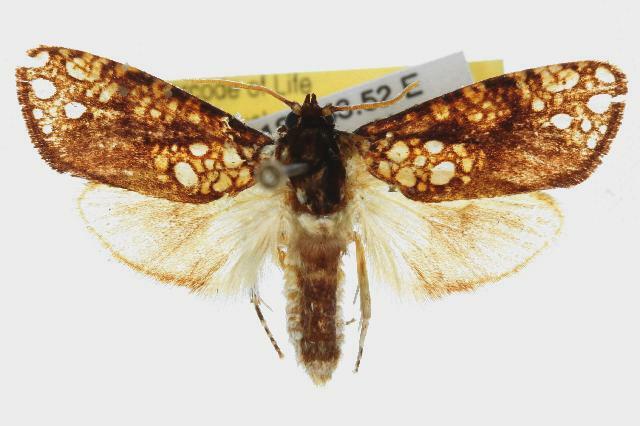 The adults of this species have brown forewings that each have a bunch of white bubble markings by the apex and the base. The hindwings are plain pale brown. The wingspan is about 3.5 cms. 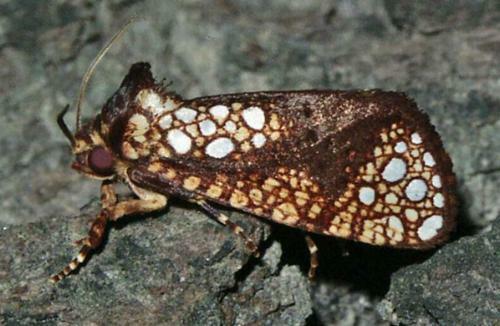 This species is smaller and has fewer forewing spots than Dudgeonea polyastra. Moths of Australia, Melbourne University Press, 1990, pl. 6.12, p. 273. LeapFrogOz, Kuranda, 2015, p. 55. Volume 26 (1902), p. 202. A Guide to Australian Moths, CSIRO Publishing, 2007.